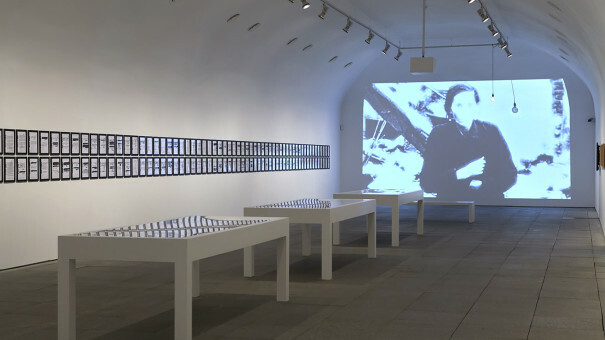 In April 2015 I had the honour to receive a private tour by the Spanish artist Daniel G. Andújar of his solo show, Operating System, at the Museo Nacional Centro de Arte Reina Sofía Museum in Madrid.1 I know Daniel from the net.art days of 1996–1997 when he was running Technologies To The People® (TTTP) (1996), a work shared in Operating System. All these months later, as the works in the show stayed with me, I decided to contact Daniel and request an e-mail interview with him. What I appreciate in his work is the natural way in which his ‘new media arts’ background is woven into the broader visual arts context of a large museum such as Reina Sofía. The show brought together the real thing and its virtual double – as if the two have never been at odds. Operating System offered a mix of many things, such as playful net.art, a dark, hacker space installation, journalism investigating real estate projects (from the pre-2008 boom years), a colourful room filled with manipulated versions of political celebrity posters and an art historical investigation into Pablo Picasso. The exhibition seemed to find the ‘tactical’ equilibrium so many people have thrived on and thirsted for. When we have all moved on to become post-digital, where ‘analogue is the new digital,’ then why should we continue to marginalize those who experiment with the ‘new material’ in an evermore ironic fashion? It is time for the Great Synthesis. The historical compromise is there. Everyone prepares for the first post-digital Venice Biennale in 2017. Let’s enjoy the delicate mix between technology, politics and aesthetics in such a way that none of the three dominate, and let Andújar be our guide. Edward S. Said, El mundo, el texto y el crítico. 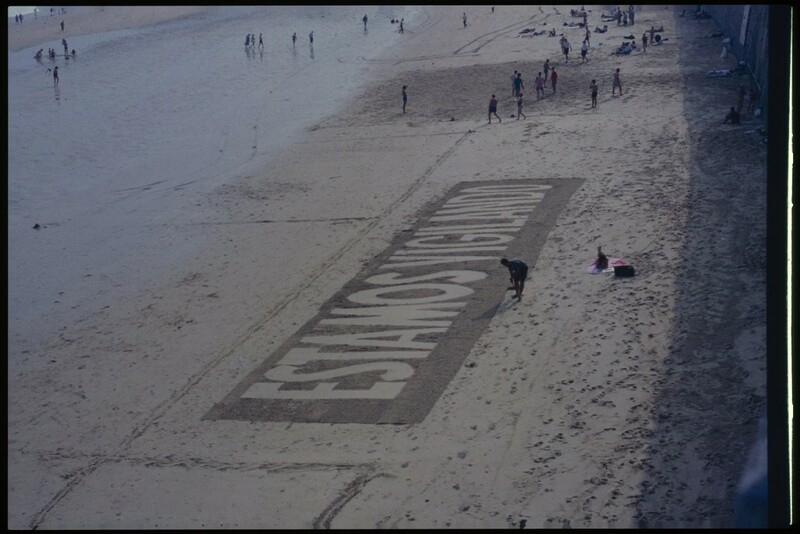 En dos ocasiones visité la muestra “Sistema Operativo” del artista Daniel G. Andújar (Almoradí, Alicante, 1966), actualmente en el museo Reina Sofía, la primera fue una estupenda visita guiada y comentada por el propio DGA; en la segunda, ya sin las multitudes de la primera visita, me serví del mismo recorrido con el ánimo de confirmar y revalidar las impresiones recibidas, pues entre los muchos argumentos afirmativos que la muestra me había deparado quizás el más intrigante y productivo fuera el sinuoso y complejo recorrido que trazan y estructuran, en singular topografía descriptiva de ciencias humanas y políticas, las dos salas con las que se abre y cierra la exposición. Ese recorrido se inicia con un paisaje, que bien pudiera haber sido escrito y escenificado por Ballard, de destrucción y devastación: la obsolescencia, programada o no, biológica o artificial, del concepto mismo de “última generación”, tan feliz y generosamente utilizado por la seducción publicitaria en una civilización como la actual que de una forma tan inteligente y efectiva ha sabido unir la creación de nuevos inventos informáticos con la conquista de una “felicidad personal”. Lo que esta sala nos muestra es, ciertamente, un inquietante cementerio tecnológico, pero esa intranquilidad y desasosiego que nos depara su contemplación se ramifica en dos consideraciones no menos turbadoras. Daniel García Andújar (Almoradí, 1966) is a visual artist, theorist and activist that is difficult to classify, and is considered one of the most pre-eminent representatives of so-called Net.art in Spain. With an interest in constructing a cultural discourse through digital media and IT and communication technologies, the artist operates from public space, making use of the city and the Network as territories from which to conduct his work. Along these lines, social relations and power are found under a system of negotiation that is permanently being redefined, manifesting, through IT systems, inequalities and discussions generated in these relations. 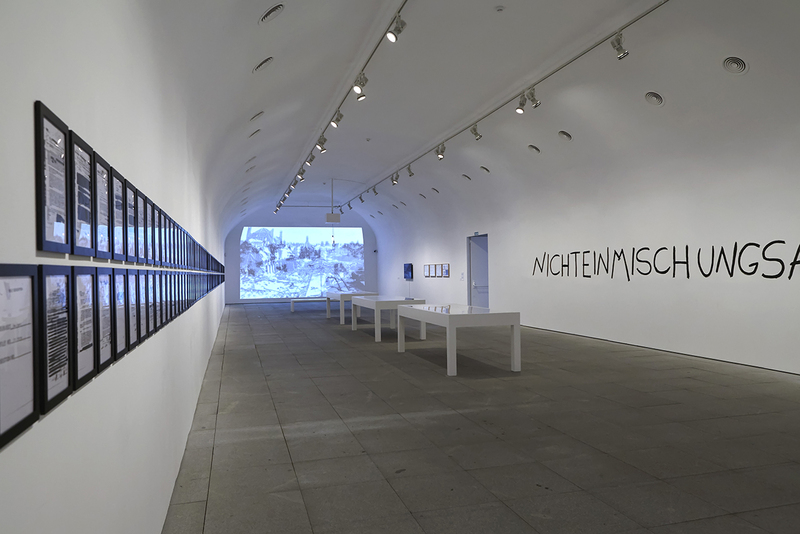 The vast majority of the works included in this exhibition are new productions, yet there are also significant pieces that date back to the beginning of the 1990s, where the constants can be noted in a career that not only uses a collective work method and a form of questioning aimed more at users than viewers, but also demonstrates the patent conversion and critical re-use of tools, formats and communicative aesthetics that already exist in advertising and the mass media.